‘Ohana Art Contest Is Here! Deadline Extended until November 2nd! Attention, Hawaii K-8 students! Due to a popular demand, the Organizing Committee is thrilled to extend the deadline until November 2nd! Yes, there is still plenty of time to get inspired and submit your art work! Don’t miss this great opportunity ! The Filipino Association of University Women (FAUW), 3 Point Scholarship Hawaii, and Reiyukai America invite Hawaii K8 students to participate in the first annual ‘Ohana Art Contest! The organizers aspire to promote stronger families that can affect stronger communities! 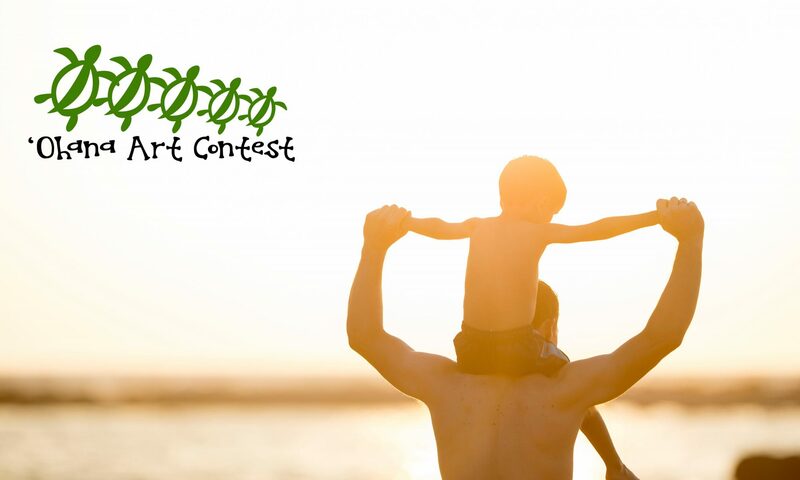 ‘Ohana Art Contest is open to all Hawai‘i K-8 students, who are encouraged to draw an artwork that portrays the contestant’s experiences with his/her ‘ohana along with a paragraph describing the artwork. All the entries must be submitted physically by the organizing committee, postmarked on or before FRIDAY, NOVEMBER 2nd, 2018. All entries will be displayed at the Hawaii State Library from November 17th to December 8th, 2018. Winners will be awarded on Saturday, November 17th during the Final Presentation of the Letter to My Parents™ Contest in Hawaii 2018. Winners will be contacted by the Organizing Committee. Attention, Hawaii K-8 students! Do you have a story to share about your ‘ohana? ‘Ohana Art Contest is open to all Hawai‘i K-8 students, who are encouraged to draw an artwork that portrays the contestant’s experiences with his/her ‘ohana along with a paragraph describing the artwork. All the entries must be submitted physically by the organizing committee, postmarked on or before Monday, October 22, 2018. Visit www.OhanaArtContest.com for more information about the contest! The Filipino Association of University Women (FAUW), 3 Point Scholarship Hawaii, and Reiyukai America invite Hawaii K8 students to participate in the first annual Ohana Art Contest! The organizers aspire to promote stronger families than can affect stronger communities.